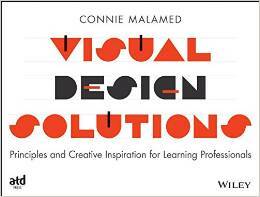 Common sense tells us that we should design differently for novices than for experts. Wouldn’t you expect a novice swimmer to learn new strokes differently than an advanced swimmer? But if common sense doesn’t convince you of this, then the expertise reversal effect will. The basic tenet of the expertise reversal effect, based on convincing research, is that a person’s level of prior knowledge greatly influences the effectiveness of learning materials. So that instructional approaches that are beneficial for beginning learners are often ineffective or even detrimental for advanced learners. It’s all based on the theory of cognitive load. The limitations of working memory make it necessary to avoid overloading it. But here’s the catch: what induces cognitive load in a novice could be different than what induces cognitive load in an expert. For example, novices in a subject need extra instructional guidance, like demonstrations of how to work through a problem or task or replacing text with a voice over to avoid split attention. But these types of approaches are either ineffective for advanced learners or even worse, they may have the reverse effect and interfere with learning. 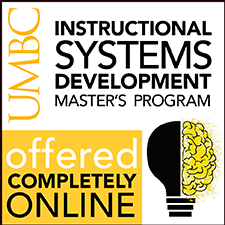 Why, this sounds like an instructional design nightmare! Why does the reversal effect happen? Several studies demonstrated that for advanced learners, processing the type of redundant information presented to a novice, could induce unnecessary cognitive load and distract the expert from the new material to be learned. This is most likely because advanced learners have knowledge structures organized for efficiency and effectiveness in the real world. When they encounter too much instructional guidance, they have to stop to integrate and cross-reference this redundant material with their available knowledge structures, which uses up valuable cognitive resources. Allow learners to skip extra steps and detailed guidance. Use a design model that allows for independent exploration, like Thiagi’s model. Provide support for informal approaches to learning. Provide rapid diagnostic tests at the start that will point each learner to the correct level of instruction. Allow the learner to choose the level at which they want to enter a learning experience. Allow the learner to perform a task and then identify how difficult he or she thought the task was. From this information, guide the learner to the appropriate level. I see a pyramid here, where novice learners might need a more structured learning experience and as they build their skills and knowledge, they will benefit from a more open learning environment. The bottom line is this: when designing for a broad audience, a fixed and one-size-fits-all approach won’t suffice. What are some other ways to design for the reversal effect? Kalyuga, Slava. The Expertise Reversal Effect. Educational Psychologist, 38(1), 23–31. Kalyuga, Slava. Managing Cognitive Load in ICT-based learning. implications: introduction to the special issue. Instr Sci (2010) 38:209–215. JOIN ME ON FACEBOOK. More tips and a chance for discussion! This is really interesting. I am sensitive to the cognitive load (or overload) caused by presenting content that is too advanced for novices to process, but I hadn’t really considered the reverse: the cognitive load caused by presenting content that is not advanced enough for experts to bother processing. I guess the latter is extraneous load just like any other (eg noise, looping graphics). I agree with all the design strategies you suggest. 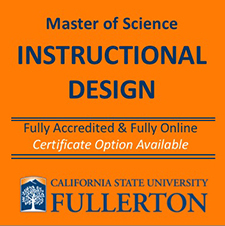 It really supports the constructivist learner-centered approach to instructional design. Empower the learner to drive their own learning. Sometimes when I’ve experienced introductory material in a subject I’m fluent in, I’ve been distracted by thoughts of how they’ve over-simplified something, or thoughts of all the exceptions to the generalization. To keep things simple for novices, we try to give them guidelines that apply 80% of the time, but as experts we’re also aware of the special cases when a different approach is better. Interesting points, Ryan and Karen. Thanks for contributing. This is such an important topic, yet so often overlooked. One key implication is to be deeply careful about having experts review material for novices. We do get tech experts reviewing our books, but the most significant–and respected–opinions come from those in the target audience. If we’ve done our job correctly, the venn diagram of expert vs. Novice response to the same content won’t have that much overlap. In elearning, as you say, it is possible to design adaptive or at least branching systems that allow for multiple levels of the same topic, but for most of us designing learning materials, the worst thing we can do is to try to make the content support a wide range of prior experience levels. Far better to design two separate learning experiences than one that doesn’t fit either group all that well. The world of tech manuals and books is piled high with those that attempted to satisfy many levels but ended up frustrating everyone, for the reasons you cite. Excellent point. Don’t let a course be all things to all audiences. Thanks. I really like your blog! There is so much I can relate to and respond to. It’s great. Anyway, what I wanted to offer on this post is whole-hearted agreement that instructional design techniques for the beginning learner have to be different from those of the advanced learner. As an adult learner studying the cognitive learning process and the functions of the brain I am discovering for myself that the tricks that used to work when I was younger to assimilate information no longer work. Rote memorization might work when you’re young, to memorize the chemical elements or multiplication tables or even complex mathematical structures, but memorization at this stage of the game isn’t a viable learning strategy for me. There’s just too much information that bleeds in and gets encoded, new information is stored with a lot of ‘static’, or tangential, peripheral information that’s seeping in as I’m assimilating information. So I need new, more advanced learning strategies to get the information to stick and to get access to it. Thanks for the comment. I’d like to write an article about more advanced strategies. I do have some pointers here: http://theelearningcoach.com/elearning_design/designing-for-experts/, but actual instructional strategies would be a worthwhile to think and write about. Great blog. It strikes me that this also applies to designing for adults who need remedial education. Like experts, their mental models are established. Often, they simply have holes in the fabric of their knowledge that need to be stitched together–they don’t need to weave the whole cloth. You make a good point and articulate it so poetically! Could you provide the journal citations for Novice vs Expert Design article — specifically the expertise reversal effect? very interesting. I’m adding some references to the article. Sorry I didn’t include them originally, I should have. Thanks for your interest! Thank you for writing this post! I found your insights extremely helpful, especially for novice instructional designers like myself. In an attempt to avoid the “expertise reversal effect”, I would like to point out the need for instructional designers to accurately assess the actual needs of their learners versus their perceived needs, before attempting to design curriculum. In my current position, it is common practice to gain feedback from the target audience after trainings are created, but it seems upfront dialogue could prove to be more beneficial for the designer and the pupil. You have reinforced for me the need to gain input during the planning phase of design, to ensure the trainings I create meet learners where they are making learning more effective and meaningful. Great point, Nonni. Why wait until the end to get feedback when a formative evaluation during development will make it more effective. We should all do this more often. This is a very interesting topic. 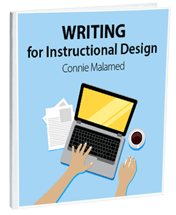 Thanks Connie for sharing those tips for instructional design that are worth considering in order to avoid redundant and reversal effect on expert learners. I would like to add also, that as a person that loves the use of graphics in instructional and educational materials, research as shown that static graphics have more benefit for novice learners than the experts, which leads me to the idea that expert learners should be faced with challenges that integrate simulations and more complex interactions to encourage thinking and more cognitive processes rather than simply receiving information. I think the way content is presented should be more interactive and directed to problem solving situations as the learner progresses in the learning experience. According to cognitive load theory, continuous animations could be too cognitively demanding for novice learners because of high levels of transitivity, and these learners would benefit more from studying a set of static diagrams. Knowledge structures of more experienced learners may help them to handle the transitivity of animations, but processing details in static graphics may require redundant activities for these learners (Kalyuga, 2008). Apart from presenting content in different ways to tailor the needs of novice and expert learners, another strategy I would suggest is to use different instructional guidance for novice and expert learners. A minimal instructional guidance would allow expert learners to take advantage of their knowledge base in the most efficient way. Thus instructional guidance should be provided at the appropriate time, while unnecessary support should be removed as a learner progresses to more advanced levels of proficiency in a specific domain. Also, adaptive learning environments that dynamically tailor levels of instructional support to changing individual levels of learner expertise in a domain have the best potential for optimizing cognitive load. And this could be achieved by letting learners choose their level after taking some initial assessment. But the quality of adaptive environments depends on the accuracy of information about levels of learner knowledge and skills. And I think that is a challenge for instructional designers to find tests or effective ways to measure the level of expertise of the learner. Another major challenge for instructional designers to avoid reversal effect is the need to adjust dynamically instructional methods and procedures as learners acquire more expertise in a specific domain. Kalyuga, S. (2008). Implications of Expertise Reversal Effect for Adaptive Multimedia Learning. In J. Luca & E. Weippl (Eds. ), Proceedings of World Conference on Educational Media and Technology 2008 (pp. 4167-4174). Association for the Advancement of Computing in Education (AACE). But if common sense doesn’t convince you of this, than the expertise reversal effect will.